New to a kitchen and not sure where to locate which dishes? 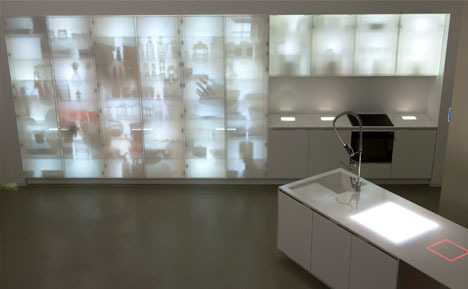 No worries: this clever custom kitchen cabinet system will light your way to the right serving bowls, plates, utensils and gadgets, showing their forms as shadows directly on the doors of these cabinets. 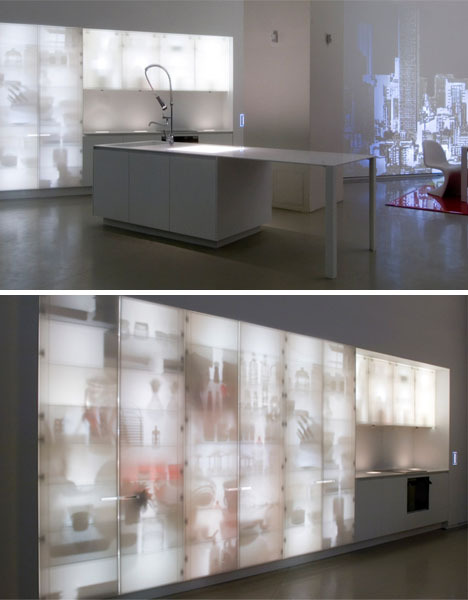 Ever the hybrid architect, artist and minimalist designer, Jean Nouvel has accomplished a great deal with this design idea – the find-anything functionality of see-through cabinetry, the animated and ever-changing artistry of light and dark shapes and the naturally and of course the built-in lighting itself that can illuminate the kitchen background while you cook. 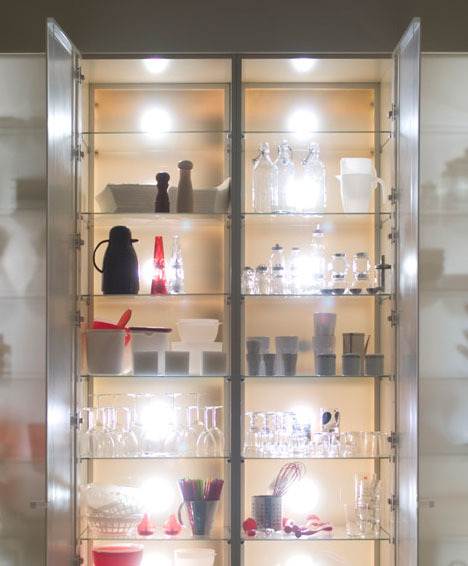 The components are surprisingly simple, cheap and low-tech considering the complex effects: standard translucent white panels and aluminum hinges on the cabinets combined with conventional lamps along the back wall behind the objects they store. 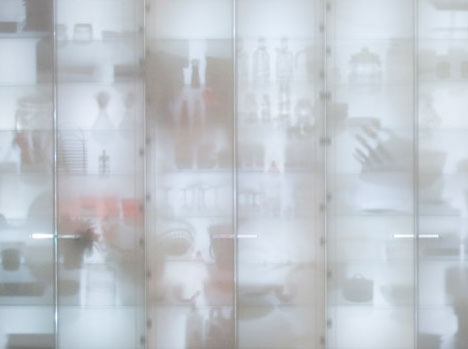 While their creator makes no explicit mention of this fact, there is an uncanny resemblance between this design and the way x-rays look when hung on the light-panels hanging on the walls of a doctor office. While the look is modern (which often implies expensive), local designers and do-it-yourself-ers could buy the components quite easily at wholesale prices for building a similar project. This is a very good article. As far as I’ve read several articles. Thank you. This is definitely one of the best articles .